The Spaniard took the car in ninth and fourth position 18 and 23 seconds behind the leader in both batches and left him first with a comfortable advantage over the second classified. Put your hands together, as if in prayer, and bend your head in a universal gesture. Fernando Alonso goes to sleep with the work done. He came to Daytona to have fun, make it clear that he is still the best and if possible win. All that did the Asturian genius in his first relay, stint called the purists of the motor world. The Spanish driver took his car in ninth place to 18 real seconds (there were 33 not counting the stops etc) of the first classified after a bad change of driver with the American Jordan Taylor and left him leading with 21 seconds of advantage over the second that at that time was the Mazda number 77. And that is a feat especially if we consider that when he had 25 seconds of rent on the second there was a questionable pace car and everyone regrouped with what all their effort had become nothing. However, in a new trance bullfighter the Asturian again made spectacular times to put time to his rivals and leave the car to Kobayashi in ess 21 seconds as a leader. "Well, it's not for as much, is what you could expect from Alonso, or did you expect something else?" , the Argentine journalist seems upset when an Italian asks what he thinks of what Fernando Alonso is doing. 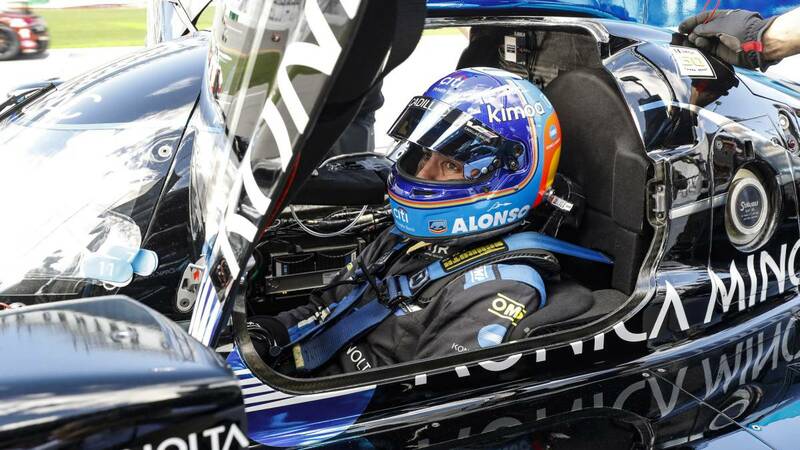 And it is that if the first relief of Alonso dazzled the second showed again for those who had fallen into oblivion or the discouragement of recognizing a driver of this category, that we are before an exceptional athlete. In short, he took the fourth car and was first 55 seconds ahead of second place. A) Yes. And raining, raining a lot in Daytona. The relay of Jordan Taylor had not been bad and in fact he was leading until almost at the end he ran out of tires and saw how he was passing several cars until he left Alonso in fourth place and Very far from the head in time. But the best Alonso returned, he entered with a disadvantage of 23 seconds with Nasr who was leader, but also he mounted dry tires in the rain and has to stop again, he leaves with more than a minute lost, but in the rain he starts to He climbs and passes two cars, first Cameron and then Ricky Taylor in two sensational overtaking with the flooded track. Segundo. It is then when Bourdais crashes his Ford GT and there is a new regrouping, moment that takes advantage of Nasr to finish his turn with the Cadillac 31. Alonso becomes leader and begins a recital of piloting with times of two, three and even four seconds by better than their rivals in the rain to get a lead of 55 seconds. Impressive. But the Corvette 4 goes against the protections and there is a new regrouping with the dawn arriving at Daytona and Alonso leader of the most legendary 24 Hours of America. Then the red flag came out because the storm is tremendous. It is for the race, but the clock continues ... although whatever happens, there will be for history the memory of one of the best car drivers in history, also in Daytona.